Titanium Gr 1 Sheets, Titanium Gr1 Plates, ASTM B265, ASME SB265 Titanium Gr1 Sheets and Plates, Titanium Hot Rolled Plates, ASME SB-348 Gr 1 Sheets, Manufacturer, Exporter, Supplier, Mumbai, India. 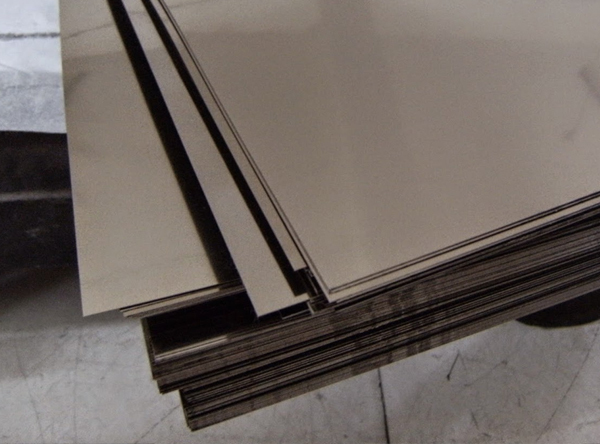 Titanium Gr 1 Sheets Supplier, Titanium Gr1 Plates, Titanium Hot Rolled Plates, ASME SB-348 Gr 1 Sheets in Mumbai India. Rexton Steel & Alloys is a leader in the Titanium Gr 1 Sheets Supplier and Titanium Gr 9 Plates Supplier, along with Ti-0.3-Mo-0.8Ni Sheets exporter of the quality Titanium Grade 1, 4, 7, 9, 12 Sheets & Plates. They are mainly used in turbine engine and airframe parts; and also for usage in surgical implants. They have a high temperature treatable and have high strength and ductility together with unsurpassed weldability and fabricability. Titanium Gr 1 Sheets and Plates, is the most commonly used of all titanium alloys and known as the "workhorse" of the titanium alloys. Titanium Gr 1 Plates is the most commonly used Titanium worldwide and is the most commonly used alloy in the oilfield, where this alpha-beta alloy is also called as the workhorse alloy of the titanium industry. Annealing Temperature of these Titanium Grade 1 Sheets is 700 Degree – 785 Degree C, where it accounts for 50 percent of total titanium usage the world over. Titanium Grade 1 Plates has excellent tensile properties at ambient tempand is a beneficial creep resistance for up to 300 Degree C (570 Degree F).